Should I keep Mathematics in class 11th? Will it help me in the future? Will not talking Mathematics make any difference to my career? For some Mathematics is a cakewalk, for others, it is a nightmare. As it is, millions of students moving from class 10 to class 11 are faced with the dilemma of whether to keep Mathematics in their subject list or skip it completely. If you are among those students not very fond of Mathematics, and wondering if leaving Mathematics will be harmful to your career, then you are at the right place. In this article, I’ll help you understand when and where mathematics is required, the scenarios where you can leave mathematics, and just how important it is to your career. 1. When is Mathematics Essential? There are few courses and careers in which Mathematics in class 12th is specified as an eligibility criterion. If you’re planning on pursuing any of these, you cannot afford to leave Mathematics. The basic eligibility to pursue Engineering and apply for entrance exams (such as JEE Main, BITSAT, VITEEE, etc.) is Physics, Chemistry and Mathematics in your class 12th. If you want to join a B.E/B.Tech course at any university, Mathematics (and Science) will be necessary. Physical Science is a broad domain, which includes multiple specializations such as Astronomy (studying about celestial bodies), Meteorology (studying about climate and the atmosphere), Geology (studying the physical properties of the earth), etc. In addition to this, you can also go for degrees in Pure Sciences, i.e. Physics and Chemistry, which can open up avenues in pure and applied research fields. All of these fields have maths as an eligibility requirement. Merchant Navy officers are responsible for managing the functioning of merchant navy ships that carry cargo from one country to another. Their responsibilities can vary from overall maintenance to looking after the ship’s technical functioning. You can either get into the maintenance side by doing a B.Sc. (Nautical Science), or become an engineer by pursuing a B. Tech. Either way, you cannot avoid the core Science subjects – Physics, Chemistry and Mathematics. Architecture courses (B.Arch) take admissions through two main entrance exams – NATA or JEE Main (Paper 2). For both the entrance exams, Mathematics is compulsory. Even once you are a part of the field, you cannot skip mathematics, as algebra, trigonometry and calculus are essential in the design of buildings. Architects use numbers to analyze structural problems; hence you would require a strong grasp of maths. Considering the fact that Economics is a social science, a lot of students have the misconception that Economics is an entirely theoretical subject. Rather, B.A Economics has numbers well-integrated into it, and statistics forms its core. A decent grasp of maths is important since Economic theories and research use numbers and data to a great extent. You can also not skip it in school since most of the universities for B.A Economics ask for maths in class 12th. Although you can pursue management through any stream, there are a few colleges at the undergraduate level you’ll have let go of if you don’t have Mathematics. 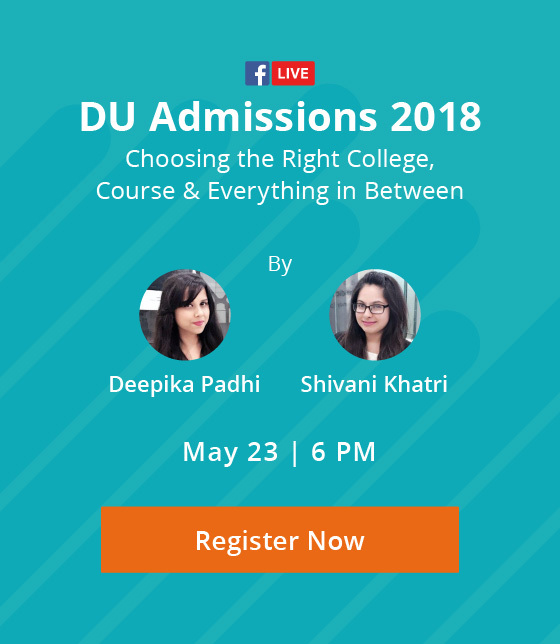 Some of these include Shaheed Sukhdev College of Business Studies (BMS), NMIMS University (BBA) and IIM Indore (Integrated BBA-MBA), to name a few. You will not even be eligible to write their entrance exams if you don’t have mathematics in class 12th. Apart from these, there are two more career options that require Maths; these are Aviation (Pilot, Air Traffic Controller, etc.) and Computer Applications (BCA). 2. When is Mathematics recommended but not compulsory? There is also a cluster of careers for which mathematics is not compulsory, in that they do not specify maths as an eligibility criterion. However, they are still numbers-centric, and you may face difficulty pursuing them without a base in mathematics. Let’s have a look at them. Analyzing data, crunching numbers and interpreting statistics are a part and parcel of an actuary’s job. Actuaries are the professionals who design insurance policies, help companies with efficient investments and calculate the risk involved in different high-risk fields such as banking, healthcare and insurance. This field is only suited for people who love numbers and maths, and thus opting for mathematics in class 11th and 12th will make your life easier. Careers in the domain of finance and banking, all relate to the management of wealth and can include roles such as investment banker, financial planner, financial analyst, auditor, trader, etc. To pursue a career in these fields, you are not required to be a genius in Mathematics. However, a good hold over numbers is surely required. Knowledge of statistics and analytical skills are a must, and thus maths till class 12th can be beneficial, even if it is not compulsory. 3. When can you do away with Mathematics entirely? Common belief would tell you that commerce without mathematics doesn’t offer a lot of career options, but that is not so. Chartered Accountant (CA), Company Secretary (CS), Corporate Law, Stock Broking are a few career options that do not involve a very high level of calculations and can be pursued without maths in class 12th. Courses like B.Com and BBA will also be open to you. If science interests you but maths is not really your thing, you can study Biology instead of Maths. The PCB stream opens up a wide range of career options for you in medicine, allied medicine, psychology, biological and life sciences, etc. While some students also opt for Maths and Biology both, it is not always recommended since it can prove to be difficult to balance them together. Maths is also not compulsory for NEET. The humanities stream as a whole doesn’t really require maths with it, and still offers a number of lucrative career options that don’t require maths, including Archaeology, Museology, Habitat Policy and Practice, Gerontology, Rural Studies, International Relations, and more. 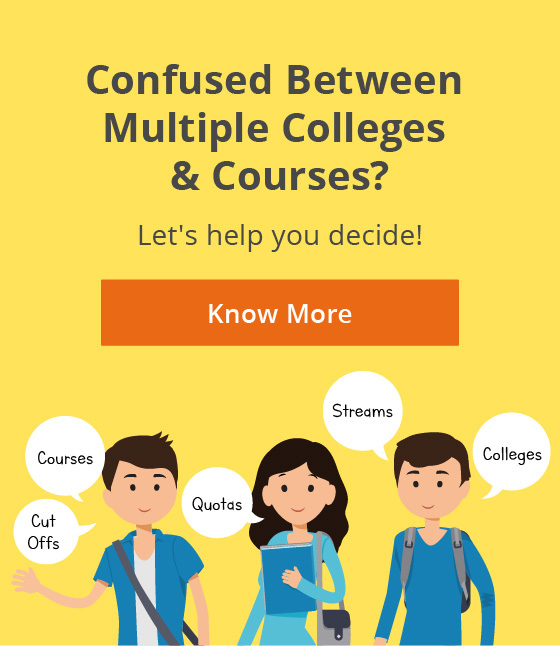 There are tons of careers and courses you can pursue with any subject combination, and if you are keen on any of these, you can remove mathematics from your subject choice list. Mass Communication, Journalism, Design, Psychology, Marketing/Advertising, Photography, Social Service, Hotel Management, Event Management, Law, Civil Services, and upcoming career options like Luxury Brand Management, Sports Management, Animation and Graphics, etc. are a few options with little or no application of numbers. Is Mathematics an Essential Ingredient For a Successful Career? You must have heard your parents, relatives and friends saying that Mathematics is an important subject and you should study it till class 12th. There is some truth to this statement. Mathematics does build logical and analytical reasoning skills that will help you in not just numbers-related careers, but in building general aptitude too. Whenever we solve a particular mathematical problem, we break it into smaller parts, observe the relations carefully and try to come up with logical solutions, which helps sharpen reasoning skills. Keeping this in mind, a majority of entrance exams assess your quantitative skills as an indicator of your aptitude. These, however, assess your mathematical aptitude which has already been built till class 10th. If your base is strong and your concepts are clear, you should be able to manage them even if you have not studied maths in class 12. Yet studying maths for an additional 2 years will surely be advantageous. On the other side of the coin, mathematics is nowhere required for careers that utilise a different set of skills, like Design, Journalism, Content Writing, Photography/Film-Making, etc. Numerical aptitude will not help you a lot here, so if you are sure about pursuing such careers, you can consider skipping maths. Mathematics is surely not the only ingredient for success. It all comes to down to what your ultimate career goals are. So, my ultimate recommendation would be to gain proper clarity about your targeted career options and decide on your subjects accordingly! Don’t have proper clarity regarding the right career options and subjects for you? We can help. Are you considering leaving Maths after class 10th? Share with us in the comments!